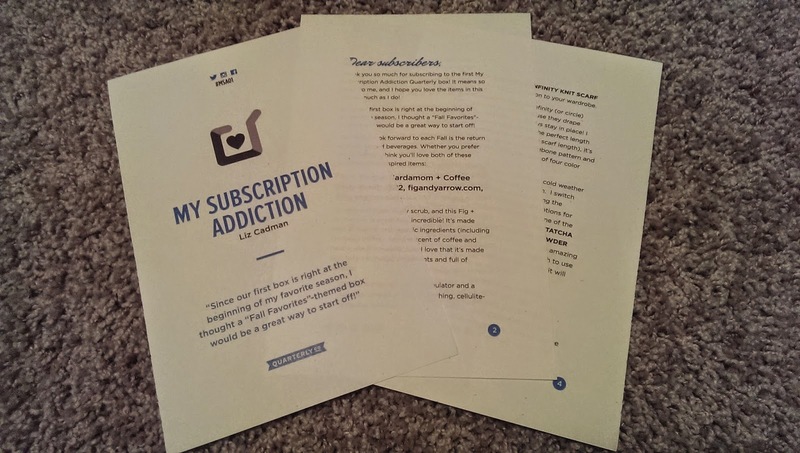 One of my favorite things about Quarterly is that they really try and focus on the curation of the boxes - each box comes with a letter explaining each item and why it was selected for the box! 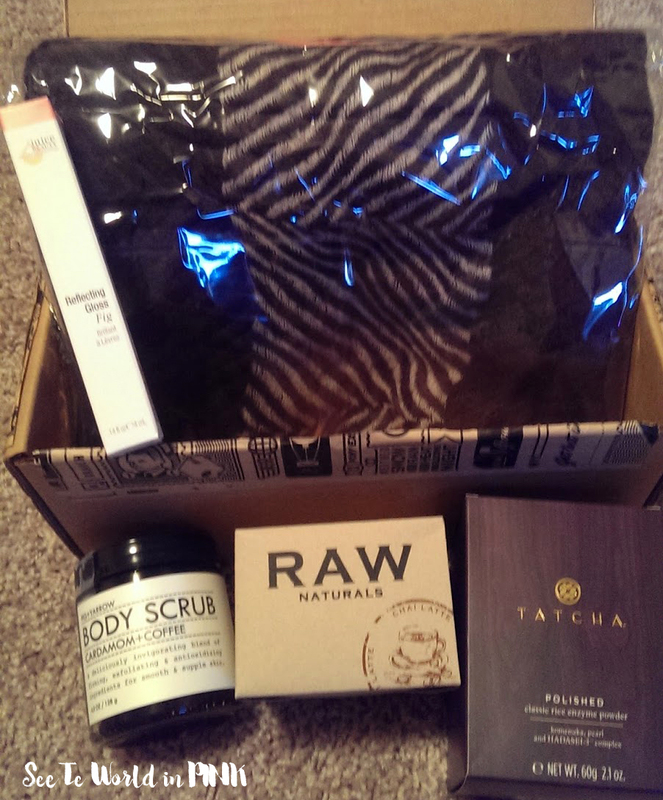 The theme of this box is "Fall Favorites". 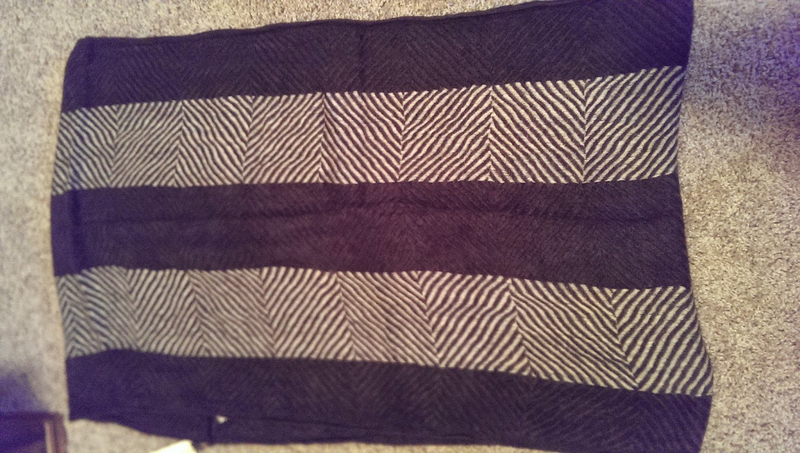 I agree that it is the perfect length - I love this! I think I should be saving it for a gift for a friend but I'm keeping it! (And they are only $20 on Amazon right now so I can grab some for the girls too!). I love finding a great wardrobe staple and having it be a great price!! 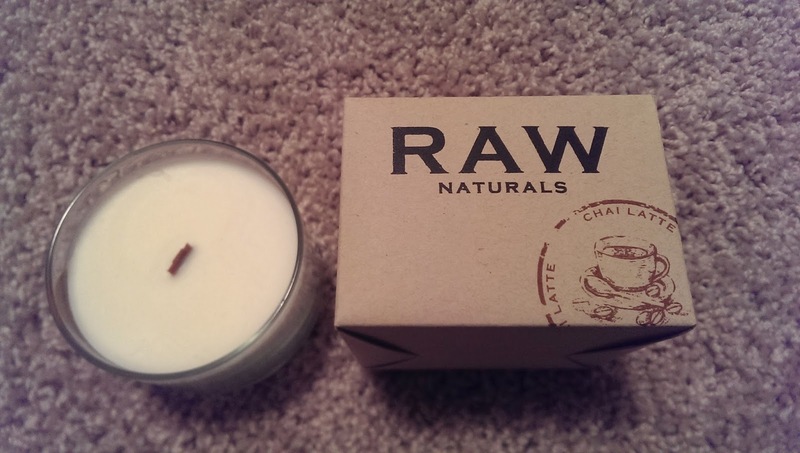 Raw Naturals Candle in Chai Latte ~ $24. This candle is all natural and uses soy wax. It has a wooden wick which apparently gives it a nice crackle as it is burning. While I would never spend $24 on a candle - this does smell really nice! 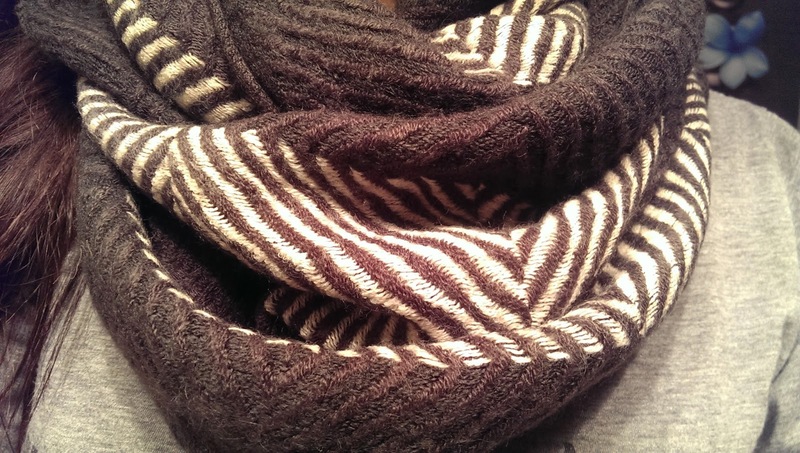 Great for fall - it just has that "cozy" smell to it. 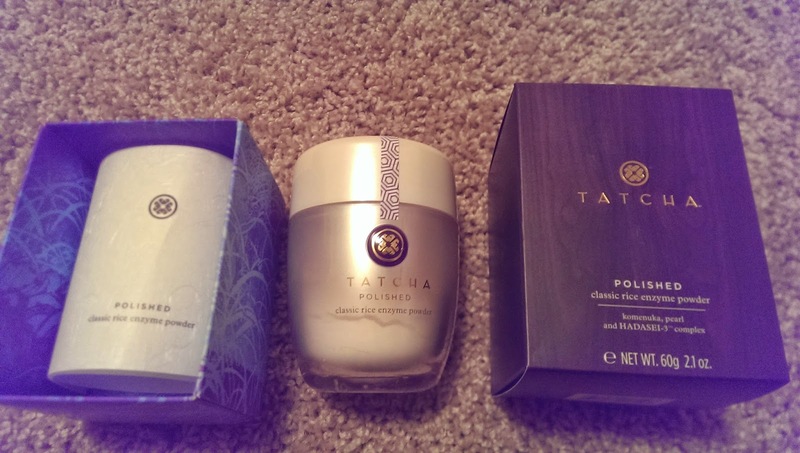 Tatcha Polished Classic Rice Enzyme Powder ~ $65. I was actually not sure what this item was at first - and it turns out it is a powdered cleanser. Just mix with water and apply to skin - said to be cleansing and exfoliating without drying skin. I love this description with the product: when brewing their fabled drink, Japan's sake masters, the Toji, constantly immerse their hands in Rice Bran, only to have them emerge fresh, pure, ageless. Geisha noticed this and they still include Rice Bran among their beauty secrets today. 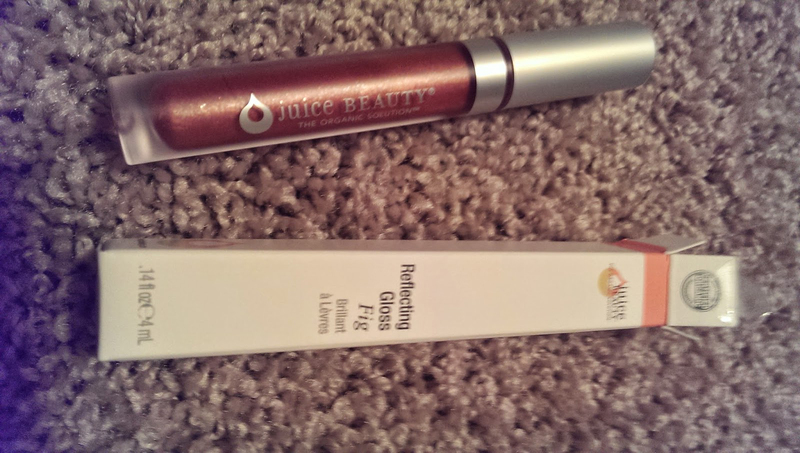 I love receiving luxurious products and am quite excited to try this! 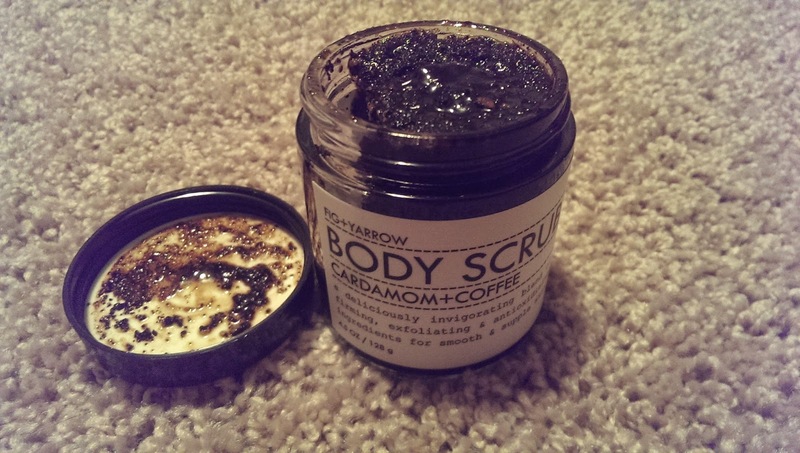 Fig + Yarrow Cardamom and Coffee Body Scrub ~ $22 travel size. Made with all natural and organic ingredients (right down to the fair trade coffee). I love a good body scrub and this scent may actually help wake me up in the morning - like a strong cup of coffee! I like it neutral with a hint of orangey brown! 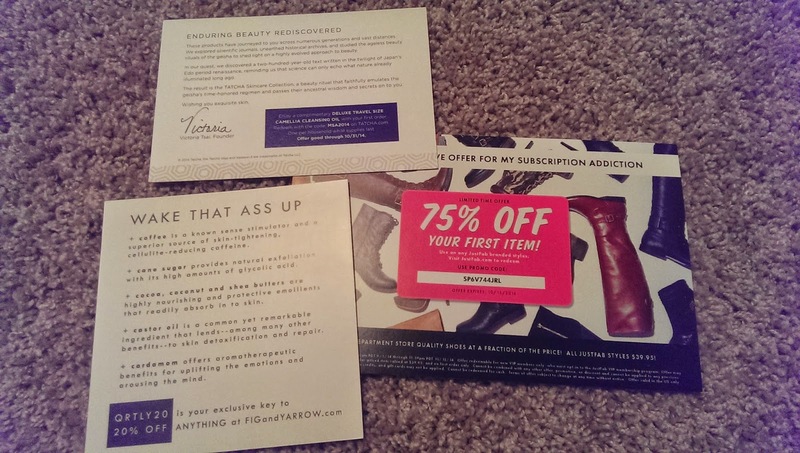 This box also came with a few coupons - the best one being 75% of your first order at Just Fab. Sadly for me - this coupon is only valid in the US. So I tried on the Canadian site and it just so happened that yesterday Justfab.ca was having 75% off your first order - so even though I couldn't technically use this coupon I still got the discount (A pair of boots for $18 including shipping - yes please!). That being said this coupon code is still valid for 1 person who is interested - be quick, it expires Oct. 15. There is also 2 coupon codes for 20% at figandyarrow.com and a free item with purchase at tatcha.com. Did you sign up for #MSA01? What did you think of the items? haha - noted Jessie :) it is fantastic!